JeffCranstondotcom: You Think You Know? Answer: You Think You Know? Or, "A Doctor, a Minister, and a Plumber..."
An off-duty policeman is working as a night watchman in an office building. He's doing his rounds, and he comes to a closed door. Behind the door, he hears voices. He hears people talking and an argument seems to be taking place. Voices are at a raised level. He hears one of them say, "No, Frank, no! Don't do it, you'll regret it." Bang! Bang! Bang! He bursts through the door. What does he see? A dead man on the floor...and the proverbial smoking gun. In the room, are three living people: a minister, a doctor, and a plumber. He walks over to the minister and says, "You're under arrest. You have the right to remain silent... [insert remaining Miranda Rights here]." HERE'S THE ANSWER: Only one of them could have been named Frank, because the other two, the plumber and the doctor, were women. And the winner is Bob Calhoun. Congratulations, Bob! It's been ages since I posted a puzzler. Here's one to get you through a Friday. Okay, chew on that one. I'll post the answer on Monday. You can email the answer (my email link is to the right on this page just under my lovely photo). First correct non-Googled response receives the thanks of a grateful nation, and a mention in my international blog read by thousands - okay - hundreds. Here's how we arrive at 48. Let's start at 12 noon. We clearly don't have anything at 12 noon. The first time which fits our answer is 12:11. There are three ones. The question didn't say that only three numbers are repeated, but three numbers are in the time, such as are in 12:11. With me? So 12:11 has three ones and 12:22 has three twos. And the next ones are 1:11, 2:22, 3:33, 4:44, 5:55, and then nothing happens for a long time, until 10:00, and that's one that a lot of people miss: 10:00 has three zeroes. And then, of course, there's 10:11 and then 11:01. And here's one that people miss all the time, 11:10. And then of course, 11:11 has four, but even though it has four, it has three, so it counts. And then 11:12, :13, :14, :15, :16, :17, :18, :19, :21, :31, :41, :51, and that adds up to 24. Six of you guessed the correct answer, but the person who got it first was (drumroll, please): Cari Dollar! (Applaud now!) And so, the heartiest of congratulations goes to you, Cari. An autographed copy of one of my weighty tomes will be winging its way toward you shortly. And now for the source of this riddle ... Thanks to the website www.cartalk.com. Click and Clack, the "tap it" brothers, (Ray and Tom) have a PBS radio show which can be heard every Saturday morning called Car Talk. Each week they have a riddle of some type. The one we attempted was on one of the recent shows. I haven't posted a brain tickler here in a long time. Let's see how well you do. This should be fun and get your weekend started off. These days, almost every automoble on the road has a digital clock, which gives the hour and the minute, but not the second. At various times of day, such as five minutes before six, the clock will display three of the same digit. For example 5:55. Ok, see if you can get this without going to Wikipedia, general internet knowledge, or the brainy tenth-grader who lives on your block. And this question pre-supposes that the clock is NOT on military or European time. 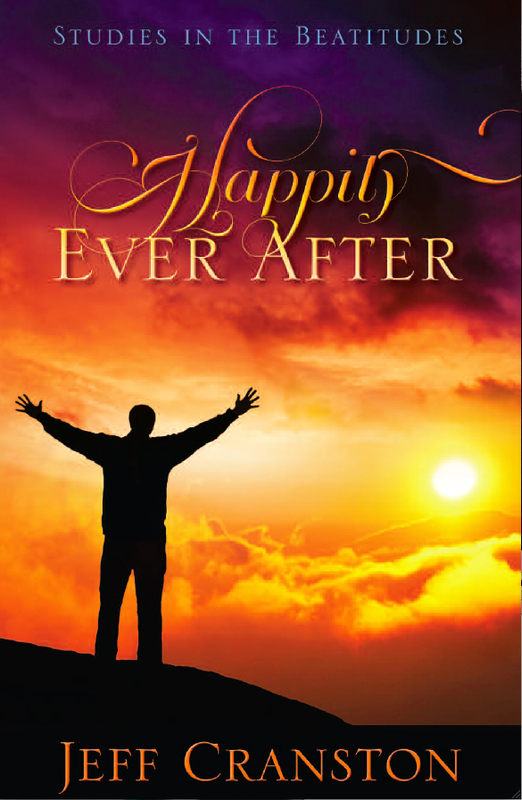 The person with the first correct answer will win an autogrpahed copy of my book, "Happily Ever After". If you already have that, and can't fall asleep at night anyway, I will award you with my booklet on Islam. If you already have both of those, then you're going to have to settle for the knowledge that you bested some of the brightest minds in the world - or at least the few hundred people who subscribe to my blog! The deadline is Monday, 23 May, at 12 noon (EST). The answer will be posted on my blog site shortly after. I'll also share the source of the question and the answer with you. There has been a great response to yesterday's "You Think You Know?" post. Thanks. That's been wonderful for me to see because, sometimes as a blogger, you wonder if anyone is reading the posts "out there." But you are and it's been a blast for me to hear from so many of you. The "oops" part of this post is because the paragraph in question was repeated twice and that wasn't supposed to happen. Many guessed that was the answer: sorry, it isn't. And although the grammar isn't the greatest in the world, that's not it either. This is an unusual paragraph. I'm curious as to just how quickly you can find out what is so unusual about it. It looks so ordinary and plain that you would think nothing was wrong with it. In fact nothing is wrong with it. It is highly unusual though; study it and think about it, but you still may not find anything odd. But if you work at it a bit you might find out. Try to do so without any coaching. We haven't done one of these in a while ... a fun brain teaser for a hot, July Friday afternoon. See if you can figure this out. First correct answer to email me here wins "Loose Leaves," a brand-new, hot-off-the--press book from John Broadbanks Publishing, written by my all-time favorite author, F. W. Boreham. The question is, What is so unique about the following paragraph? Results will be posted on Monday. Good luck! "This is an unusual paragraph. I'm curious as to just how quickly you can find out what is so unusual about it. It looks so ordinary and plain that you would think nothing was wrong with it. In fact nothing is wrong with it. It is highly unusual though, study it and think about it but you still may not find anything odd. But if you work at it a bit you might find out. Try to do so without any coaching. ""This is an unusual paragraph. I'm curious as to just how quickly you can find out what is so unusual about it. It looks so ordinary and plain that you would think nothing was wrong with it. In fact nothing is wrong with it. It is highly unusual though, study it and think about it but you still may not find anything odd. But if you work at it a bit you might find out. Try to do so without any coaching." - Ignominiously = discreditable; ignoble; humiliating; contemptible. The person with the first correct answer is Willy Powell. Willy is a Clemson graduate so this makes complete sense. (This may also explain why he didn't give a guess as to the definition of ignominiously! No one else did either - at least correctly...) In the issue of fairness, however, I believe two other answers we received are also correct - but not in the context of my fictitious story ... so Rob and Jimmy, while you guys are technically correct, the manager couldn't start Lefty per the owner's orders. Nice effort though! Okay, back to reality everyone! Image: Travis Blackley of the Reno Aces, a Triple-A affiliate of the Arizona Diamonbacks, and one of the few Aussies to ever pitch in the Major Leagues. We haven't had one of these in a while. And as we head into the baseball play-off season with my Orioles slinking ignominiously into yet another season-to-forget, I bring you the following brain teaser. It's from Ray and Tom's CarTalk radio show on PBS stations. It's the last game of the season. Lefty has 19 victories, and is scheduled to be that day's starting pitcher. The opponent is a lousy team. They've got a terrible record, and Lefty knows he's going to get the bonus. As luck would have it, an hour before the game his manager approaches him and says, "You ain't starting, Lefty." The manager says, "The owner of the team came and said, 'If you start this bum... if he throws even one pitch, you're losing your job!'" Lefty's dejected. He says, "I was going buy a new house in the Hamptons with that thousand bucks!" Lefty's discouraged, and the manager is discouraged too, because he has great regard for Lefty. The manager wonders, "How can I get Lefty to win his 20th game and collect his bonus-- and not throw a single pitch?" And that's what happens. Lefty wins the game without throwing a single pitch. The first correct answer gains world-wide fame - at least among the 259 subscribers to this blog. (Extra points for defining ignominiously without looking it up on-line!) The answer will come later this week. Good luck! Question: It's the 9th inning...batter at the plate...there's the pitch...it's a fly ball, deep into the right field corner. The outfielder runs and positions himself to make the catch...which he does...then at the last second, he suddenly drops it - on purpose. Answer: He dropped the ball on purpose so the catch would not be recorded as an out. Here's why...I didn't give you ALL of the information. If I had, it would have been too easy! There was a runner on third; there was one out; the score was tied; the fly ball was hit deep, but it was also a foul ball. Had the catch been made, the runner could have tagged up and scored the go-ahead run. There you are...not too hard, was it? Unfortunately, this guy played for the Orioles. They didn't score in their half of the ninth and their relief pitcher walked in the winning run after hitting two batters and walking another. Okay, now that the baseball season is in full swing and my Orioles have already been mathematically eliminated from the play-offs, it's time for another baseball quiz. It's the 9th inning...batter at the plate...there's the pitch...it's a fly ball, deep into the right field corner. The outfielder runs and positions himself to make the catch...which he does...then at the last second, he suddenly drops it - on purpose. First correct answer wins the adulation of the nation. Good luck! The answer will be posted on Saturday. PLEASE post your answer in the comments section of my blog. Our email is under-going some surgery at the office this weekend.